Are beans really good for me? 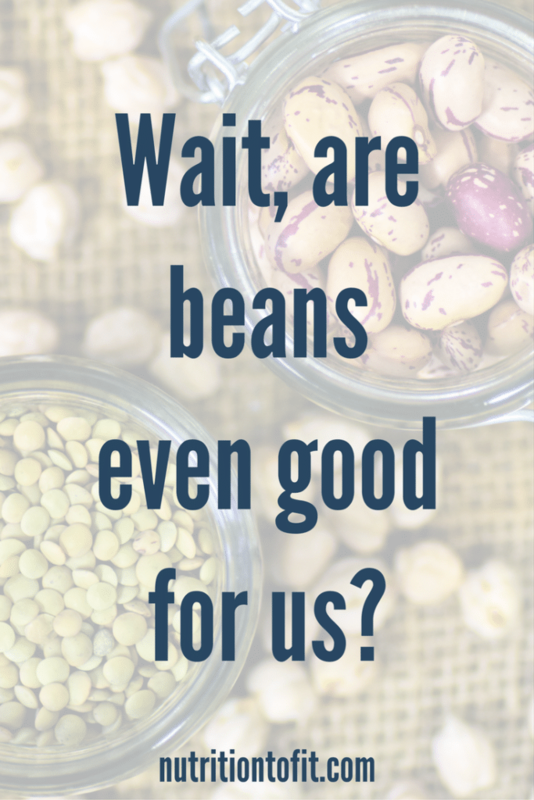 There’s a lot of confusion about whether or not beans are actually “healthy”. Proponents of plant-based diets extol the virtues of beans (and all legumes). Those who follow a paleo diet or Whole30 program are quick to ban beans (and all legumes, including peanuts), citing a myriad of reasons, often revolving around their “anti-nutrients” that make them not beneficial to one’s health. Before I dig in a little deeper, I just want to reiterate that there is no one perfect solution when it comes to nutrition. Nutrition has to be individualized to what’s a fit for you. That said, let’s check out what’s up with beans. Beans are really unique in that they are a good source of plant-based protein. 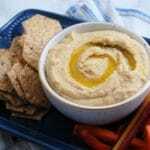 For example, one cup of cooked garbanzo beans contains 14.5 grams protein (1). Now, if you’re comparing a half cup of cooked beans to a half cup of cooked animal protein, the animal protein will have more grams of protein. But this doesn’t negate the fact that beans are still a good source of protein. This healthy fiber includes resistant starch and soluble fibers, both of which pass unchanged through the stomach and small intestine until they get to the colon where they feed the good bacteria there. There may be side effects of bloating and gas, but other health benefits include improving colon health and reducing the risk of colon cancer (2). 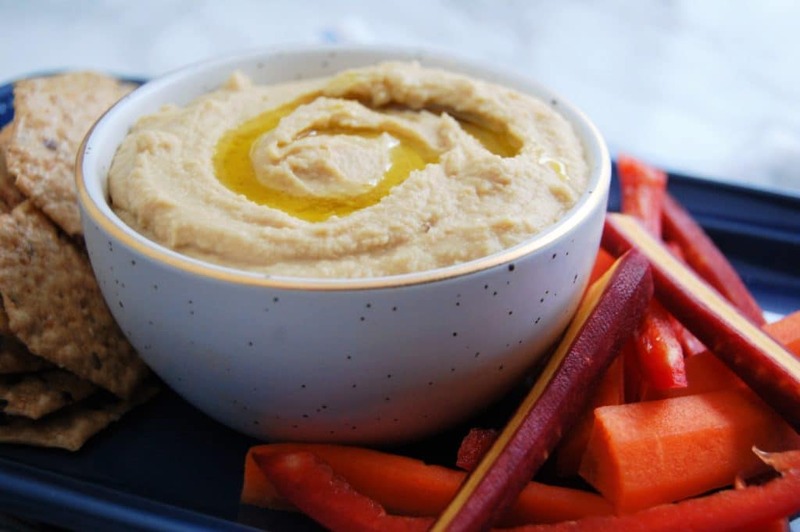 Even on a low FODMAP diet someone may be following for medical reasons (like irritable bowel syndrome) shows that it may be possible to consume legumes on a low FODMAP diet (3). You just want to watch the portion size and adhere to proper preparation techniques to reduce phytic acid and lectin content (see below). Is Phytic Acid Really a Problem? A popular argument against beans is their phytic acid (or phytates) content. Phytic acid impairs the absorption of minerals like iron, zinc, and calcium. It also may lead to a higher risk of mineral deficiencies over time (4). 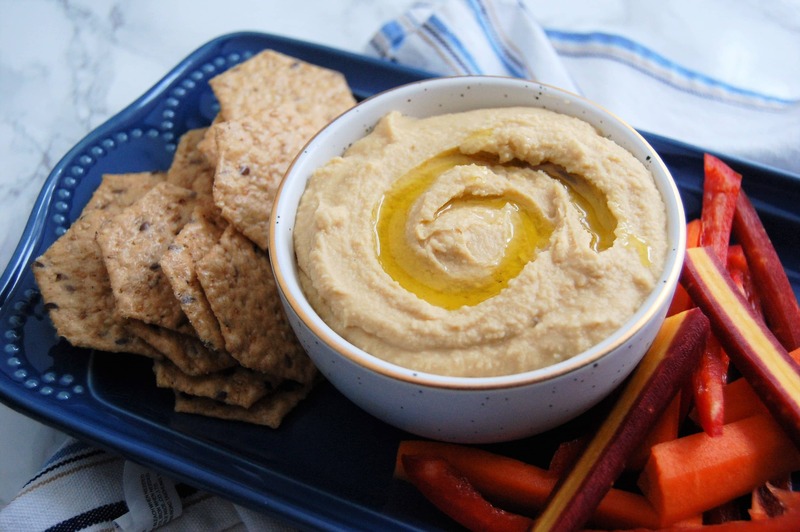 Sounds scary and like we all need to purge our pantries of legumes ASAP, right? Well…not so fast. Still on the fence? Also know that impaired mineral absorption from high phytic-acid foods only pertains to the single meal that you’re eating. It doesn’t apply to foods consumed later in the day (meaning if you snack on yogurt later, you’ll still absorb maximum calcium) (5). Also? We need to stop demonizing legumes for phytic acid. Phytic acid is also found in plant seeds, nuts, and even in smaller quantities in roots and tubers (6). One last thing: there are actually health benefits to phytic acid. Phytic acid is a natural plant antioxidant (7). It’s actually added to other foods as a natural antioxidant to help prevent spoilage! Research is suggesting it may also decrease the risk of colon cancer and protect against other inflammatory bowel diseases. Did You Know You Can Reduce Phytic Acid Content? Now, while mineral absorption can be very individualized, the potential for impaired mineral absorption from diets high in high phytic acid foods is something to still be aware of. This may especially affect individuals in developing countries or even vegetarians (8, 9). There is research that suggests several preparation methods that can help reduce phytic acid content in foods like whole grains and legumes. That includes soaking (10), sprouting (11), and fermentation (12). What’s the Deal with Lectins? Lectins are a type of protein that can bind to sugar. They’re found in all forms of life, including plants and the foods you eat (13). The most common food sources of lectins include legumes, grains, and nightshade vegetables (like tomatoes). Humans can’t digest lectins, so they travel through the gut unchanged. In small amounts they can help with immune function, cell growth, and possibly even play a role in cancer therapy (14). In larger amounts there’s a potential for impaired nutrient absorption. When consumed in large amounts, there’s a possibility for damaging the gut wall, which can result in irritation and symptoms like vomiting and diarrhea. The bottom line is that beans have many health-enhancing properties. There are potential nutritional concerns some individuals may need to be sensitive to, but there are often ways to still include beans and other legumes in your diet. As with every single food and anything related to nutrition, it is completely up to you to see what works for your body. 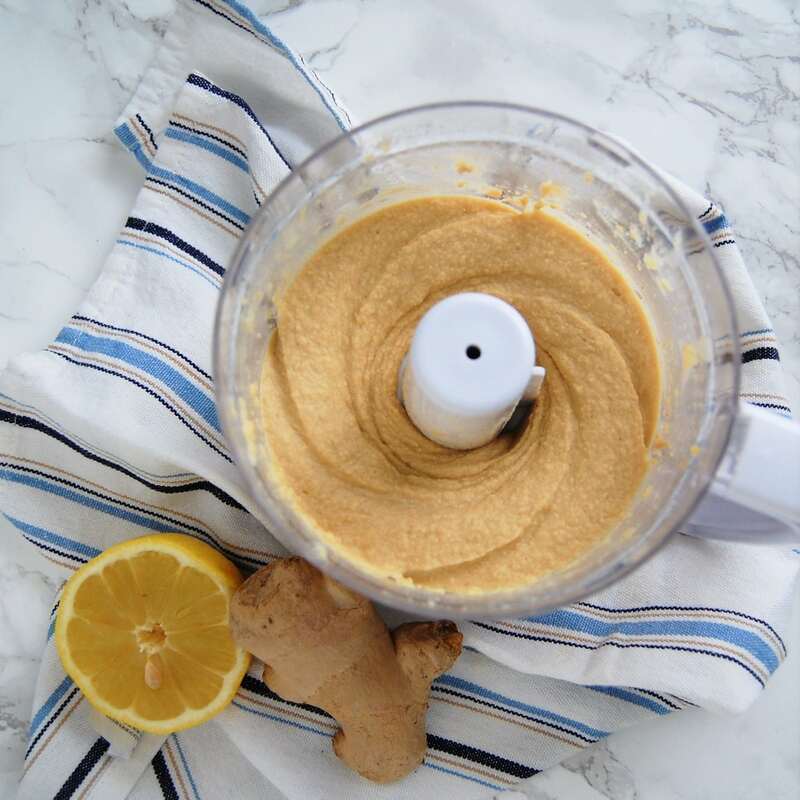 If you’re like me and enjoy beans and other legumes, give this Lemon Ginger Hummus a try and see how you like it! Once you drain and rinse your garbanzo beans, you can peel off the "skin" from the beans if you'd like to. This is a slightly tedious task that takes a few minutes. 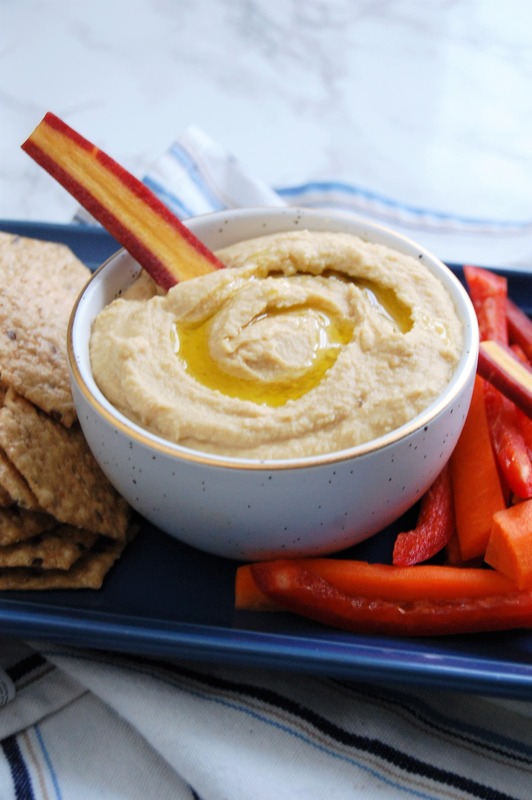 You don't have to do it, but it does result in a creamier hummus. 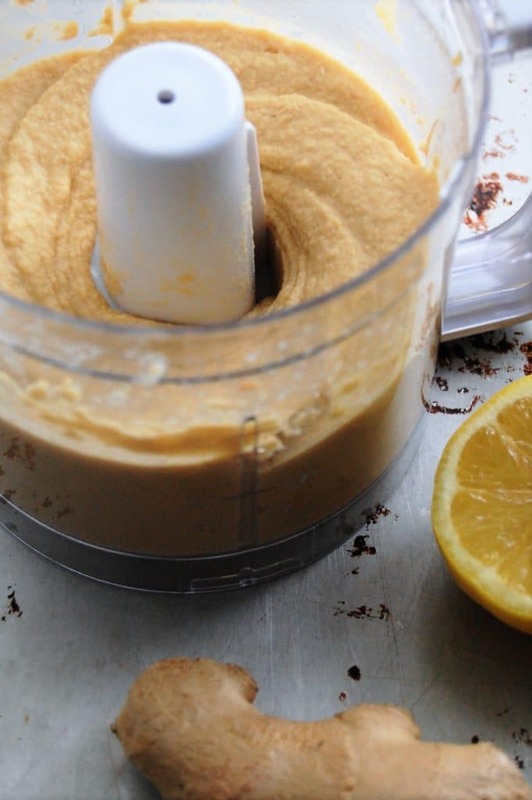 In a food processor combine all ingredients except salt. Process on low until ingredients are smoothly combine. Add salt to taste. Serve immediately, or store in a refrigerator for up to a week.